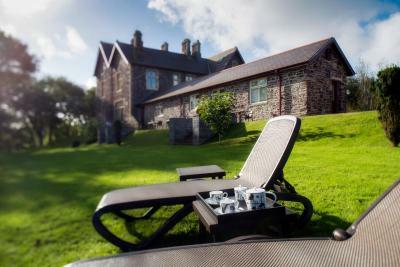 Lock in a great price for Penrhiw Hotel – rated 9.5 by recent guests! 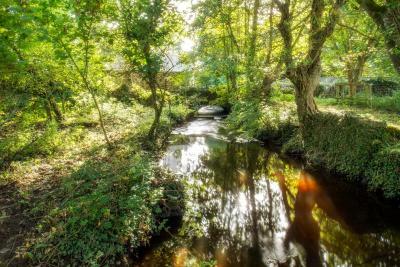 This is once in a lifetime opportunity to stay just outside of a beautiful town but feel like you are hundreds of miles away in the country. This property is stunning. It's an 1800's property but the interior design is A+++. Beautiful design working with local materials. 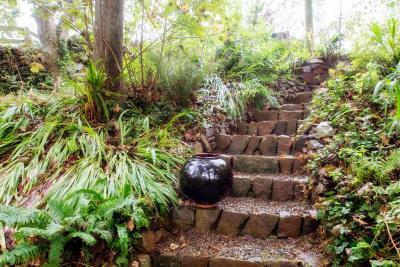 The natural setting around this property will treat you to some of the most beautiful country you've ever seen. Lovely modern room. Good location. Friendly staff. Quiet and clean. Nice breakfast and honesty bar. 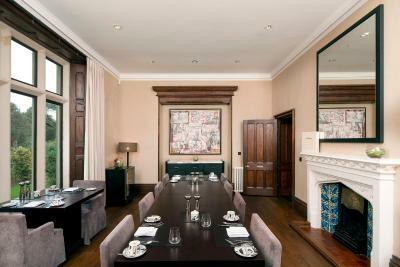 A lovely hotel all round in a beautifully restored former vicarage. Extremely well-run by local staff who were very friendly and helpful. 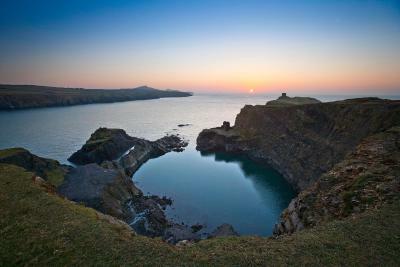 It is in a great location for visiting St David’s and the surrounding area. Lovely place with enormous rooms/ huge ensuite bathroom and a small sitting area/lounge. 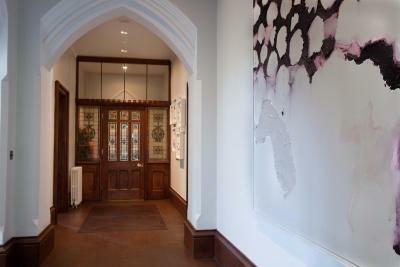 Very comfortable and clean and modern in a beautiful converted building that used to be a 19th century vicarage. 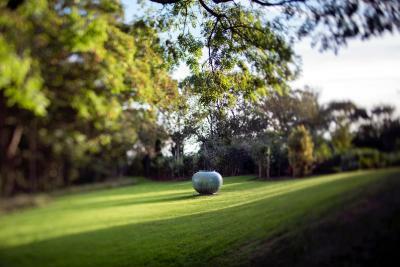 Surroundings are also beautiful in the middle of a forest with well maintained gardens around. Well worth a walk around. Excellent. Friendly & helpful staff, great breakfast. Quiet, comfortable - a great stay. 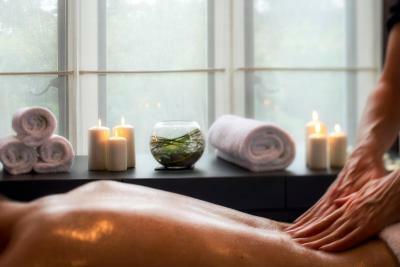 The staff was lovely, room was spotless & spacious. Our room had a small refrigerator, nespresso machine, bottled water, cookies, tea, even a small container of milk in fridge for coffee & tea. Bed was super comfortable & the sheets & pillows were luxurious. The shower was incredible, my husband said it was the best he had in his life! 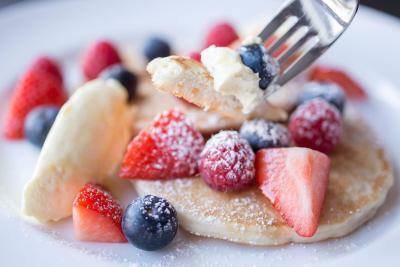 The breakfast in the morning was fabulous! My only critique would be more access to ice in the evening, that being said, I would return in a heartbeat if I am back in the area. We absolutely loved it! Can’t fault anything - Bethan and her team dis a fantastic job looking after our party from start to finish. We’ll definitely be back. 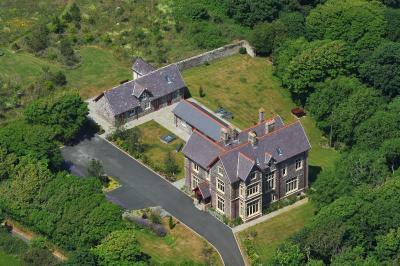 Penrhiw Hotel This rating is a reflection of how the property compares to the industry standard when it comes to price, facilities and services available. It's based on a self-evaluation by the property. Use this rating to help choose your stay! 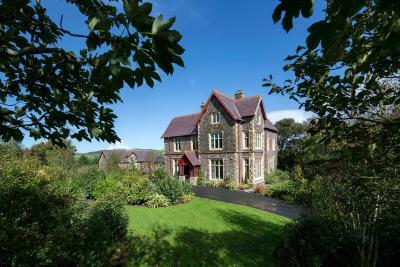 This 5-star bed and breakfast is an elegant stone-built property surrounded by 12 acres of private woods and gardens. 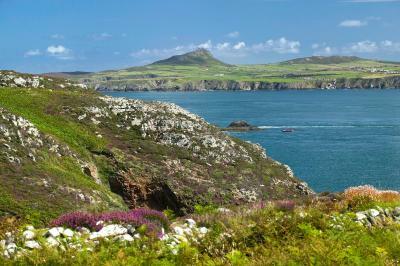 In the heart of the Pembrokeshire Coast National Park, Penrhiw Hotel is a 5-minute drive from coastal views of Ramsey Island, an area home to sea birds, seals and dolphins. Each individually decorated bedroom at Penrhiw Hotel has a contemporary and minimal style. 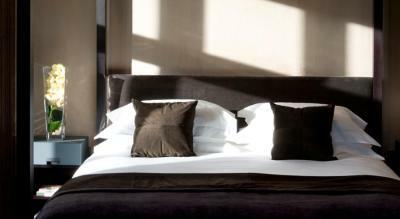 All rooms come with free Wi-Fi and designer furnishings. 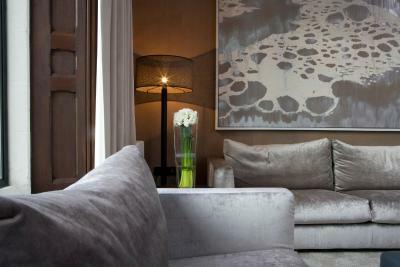 The luxurious common areas of this period property consist of of stylish lounge areas and a drawing room, with floor-to-ceiling windows and original fireplaces. 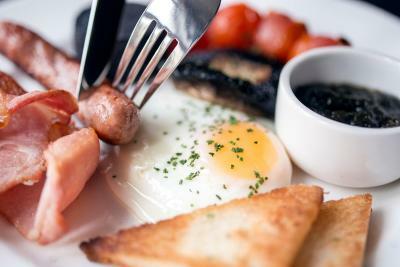 Breakfasts are freshly prepared each morning. 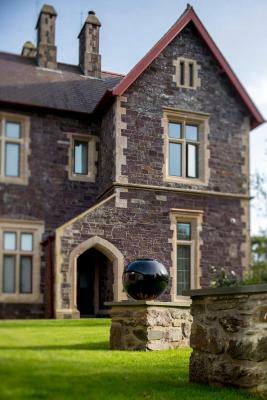 A complimentary transfer to Blas Restaurant at sister hotel, Twr y Felin, St Davids is available for dinner. 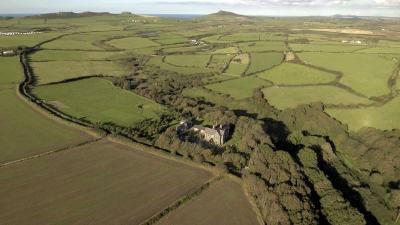 The property is 10 minutes’ walk from the center of St Davids. 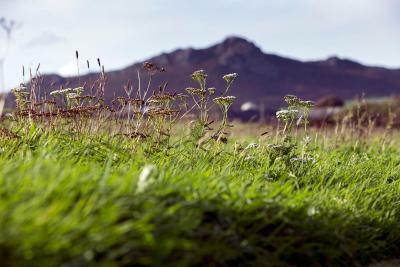 The surrounding St Davids Peninsula has some stunning scenery and coastal walks, and guests are only a 5-minute drive from the St Davids City Golf Club. 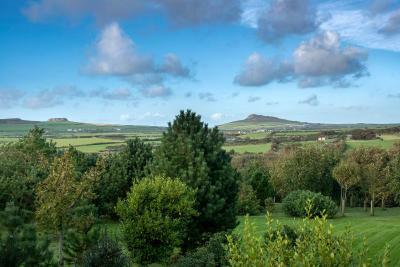 This property is also rated for the best value in St. Davids! Guests are getting more for their money when compared to other properties in this city. 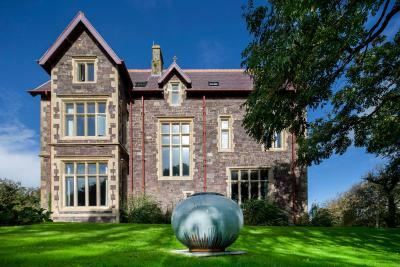 When would you like to stay at Penrhiw Hotel? Located next to the main house, this one bedroom suite has a super king-size bed, a lounge, a bath and a shower. 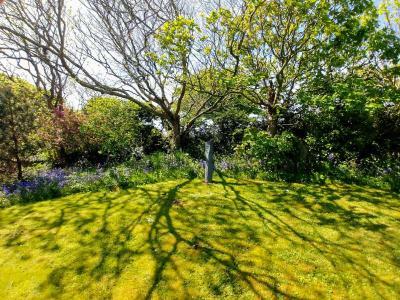 The patio leads to the meadow set within 12 acres of gardens at Penrhiw. King Room with Bath and Shower. 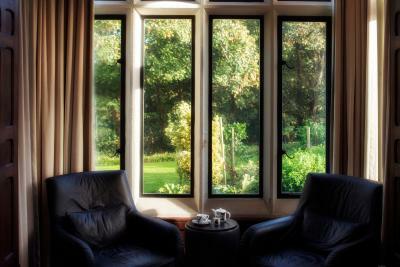 King rooms either look over Carnllidi Mountain or across the valley and tree tops. 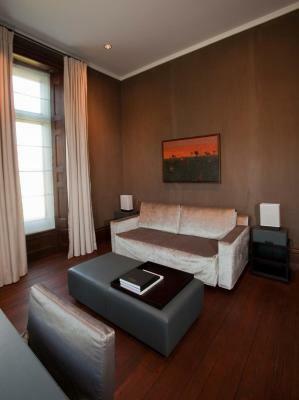 Rooms feature a TV and iPod dock, seating area, desk and mini bar. 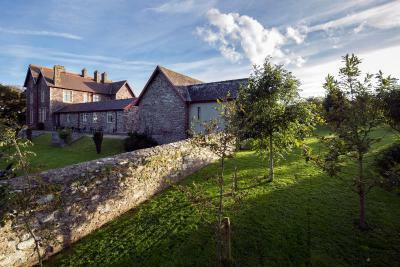 The rooms offer en suites with either a bathtub or shower and free toiletries. This room includes a shower and a small seating area. 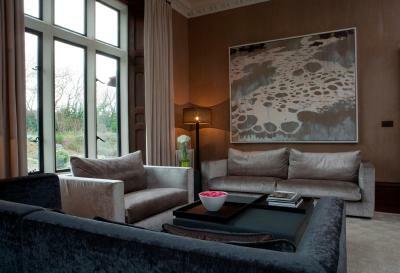 This room features a small seating area, overlooking the gardens. The room is located on the second floor, in the eaves of the house. This double room features a bathrobe, seating area and iPod dock. 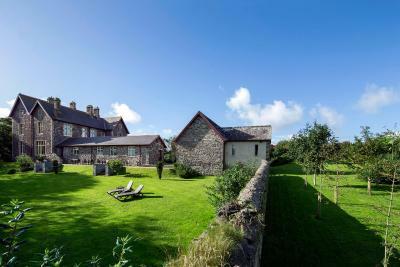 Penrhiw is an intimate eight bedroom property which is categorised by The AA as Guest Accommodation. They have awarded us 5 stars in this category with a Gold Award, plus a Breakfast Award, the maximum we could have hoped for. Our fully serviced Hotel Twr y Felin with Cornel Bar and Blas Restaurant is a just a few minutes drive away. We offer our guests from Penrhiw and Roch Castle complimentary transfers to and from Blas Restaurant in the evening for dinner. We collect you at 6.50pm to dine at 7pm and bring you back around 9pm. 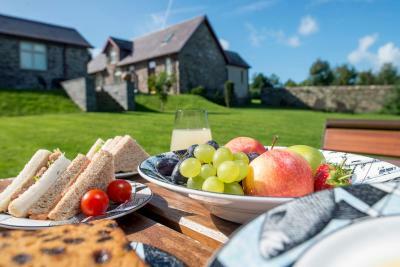 As a Guest Accommodation, the Penrhiw Team are present from 7.30am to an around an hour after our last guests have checked in. This is usually to around 7pm. For 24 hour assistance, we have a Duty Manager on call, plus round the clock service from our colleagues at Twr y Felin Hotel. As an adult only hotel, we accept children from twelve years of age. As a hypoallergenic property, and to protect our guests with allergies, we regret that we cannot accept pets. 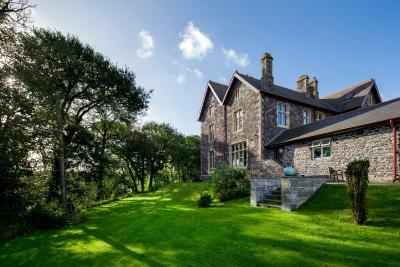 Penrhiw can be booked for exclusive use. Please call us for further details. 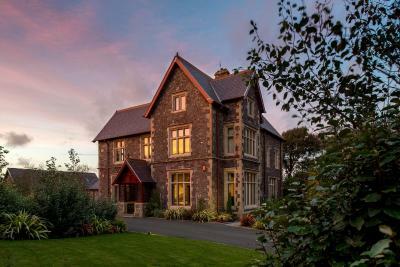 House Rules Penrhiw Hotel takes special requests – add in the next step! Penrhiw Hotel accepts these cards and reserves the right to temporarily hold an amount prior to arrival. Due to its historic nature, the property is not suitable for those with walking difficulties or for children under 12 years of age. Please note, as the hotel is a hypo-allergenic property, pets are unable to stay. 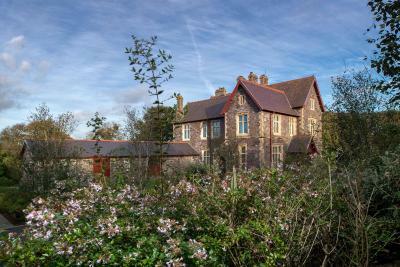 Originally built in 1884, Penrhiw Priory is a listed building. 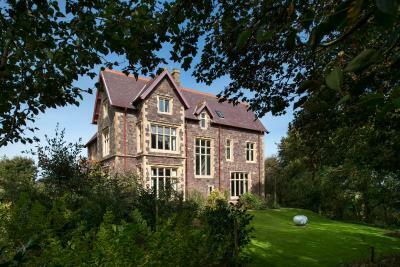 We are currently renovating this historical stonework in order to restore Penrhiw back to its best. We hope that the work will be completed by September 2019 and that you will choose to stay at our sister properties Twr y Felin Hotel or Roch Castle in the meantime. Please inform Penrhiw Hotel of your expected arrival time in advance. You can use the Special Requests box when booking, or contact the property directly using the contact details in your confirmation. Felt a little bit isolated. But I’m being picky here. Only 1 sausage!!! Sorry it’s my benchmark. Very well appointed. Great staff. Excellent hotel in every aspect! A very majestic building, amazing grand interior including some very interesting works of art, and very nice grounds divided into gardens, a meadow and even a woodland. The room was very comfortable and very large with good lighting both natural and otherwise. 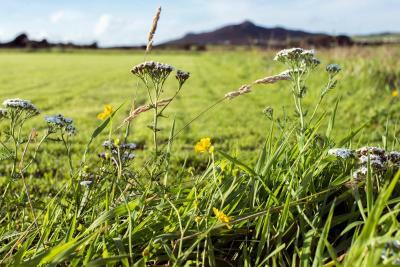 The location makes you feel as if you are in the middle of the country side, but in fact you are only 10 minutes’ walk from the centre of St Davids. The atmosphere is very chilled out. 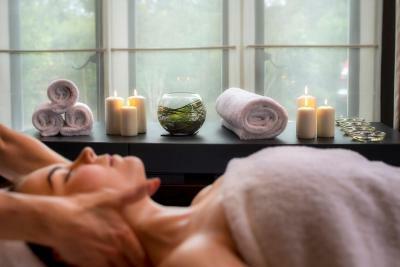 The staff are very helpful and pay great deal of attention to detail. 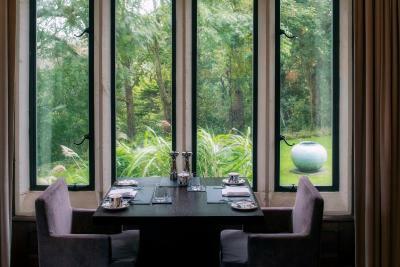 Breakfast is very good, a lot of items to choose from the cold buffet, and the cooked breakfast choices are plentiful, interesting and delicious. The background music was Ok on day one, but a bit wearing on day two especially as it sounded very very similar to the music at the restaurant at the sister hotel on the previous evening. Chairs in the room could have been more comfortable. Sound transference (TV) from the room below not ideal - but we understand that the hotel has already commissioned works to deal with this. Bed very comfortable, Breakfast excellent (especially fried bread as a treat), Staff very friendly and helpful cannot fault the staff at the hotel or the sister hotel restaurant. Wonderful staff, and every convenience was available. Breakfast too was outstanding. Staff very helpful, they made me a great breakfast early. Lovely breakfast, beautiful setting, wonderful staff. Superb location, spotlessly clean, very friendly and helpful staff!! Very clean room, lovely big shower. The breakfast was excellent.